London has a lot of landmarks. Big Ben, the Houses of Parliament and Buckingham Palace are well-known around the world, and you’ll probably recognise the black taxis and red telephone boxes. But the city is also home to many secrets. Where’s the best place to go for cheap pizza? Where can you meet other students to share ideas and a cup of tea? And what on earth is the ‘Walkie-Scorchie’? Google’s Campus is a magnet for entrepreneurs in London, but it’s also a great place to study. Located in Shoreditch, east London, Campus is in the heart of a vibrant part of the city that always offers something interesting for visitors to do. But it’s what is inside the building that interests us. Campus has seven floors of workspace and accommodates a range of working requirements, offers free wi-fi and has a café on the ground floor. It will not only accommodate you while you’re preparing for your exams, but it’s likely to give you the inspiration you need for your career. The British Library has one of the largest collections of books in the world, extensive study resources and excellent exhibitions – and it’s conveniently located next to King’s Cross St Pancras station. There are quiet study rooms for over 1,000 readers as well as informal indoor and outdoor study areas. If you need a break, take a tour of the world-famous items located here – such as the Magna Carta, the recording of Nelson Mandela’s Rivonia Trial speech, or handwritten first drafts of John Lennon's lyrics. Before you can access the reading rooms you will need to sign up for a Reader Pass – it’s easy enough, just remember to bring a proof of address and a photo ID! The slogan ‘Tea, coffee, work and play. Re-imagined’ should give you an idea of what Timberyard is all about. It’s a unique, gourmet coffee shop that aims to create an engaging atmosphere for its customers. Timberyard has two locations – one in Old Street in east London and one in Seven Dials, Covent Garden – and is designed to attract a young and curious crowd who like to work and network over a cup of tea. If you have ever enjoyed studying in coffee shops, say goodbye to Starbucks – Timberyard will steal your heart. If you’re lucky enough to fly into Heathrow from the east, or Gatwick from the west, this will be the standout structure you will see on the London skyline. The Shard is also one of the newest landmarks in London (it was completed in 2012, and in 2013 opened a dizzying public viewing gallery on floors 69 to 72! ), and it’s named the Shard because… well, it resembles a glass shard. One of the most popular buildings on the London skyline, located at 30 St Mary Axe in London’s financial district (an area called the City of London), is the Gherkin. Unimaginatively, ’30 St Mary Axe’ is its official name – but the London public unofficially named it the Gherkin because of its uncanny resemblance to the pickled vegetable. With 744 panes of glass, the equivalent of 5 football pitches, the Gherkin takes a team of 9 window cleaners ten days to clean. 20 Fenchurch Street might just be the most dangerous building in London. It was known as ‘the Walkie-Talkie’ because of its unique curved design, but quickly earned another, more infamous nickname. In the sunny summer of 2013, the glass building started focusing sunlight on the street below, creating temperatures up to a ‘scorching’ 91°C, melting cars and starting fires in nearby shops! The building’s developers have since fixed the problem with a system of sun shades. The Leadenhall Building at 122 Leadenhall Street, also known as ‘the Cheesegrater’, is another new London landmark. Despite (unofficially) bearing the name of a culinary tool, the Cheesegrater is not a restaurant specialising in fine cheese dishes – 122 Leadenhall Street is an office building in the City of London, with the only connection to an actual cheesegrater being its shape. 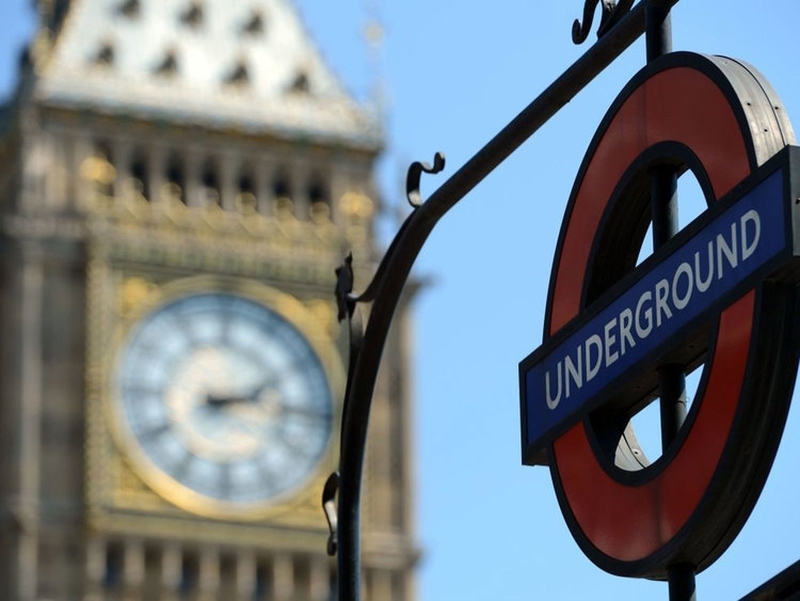 Whether it’s a student Oyster card, Railcard or discounts in shops – as a student in London, you are part of a privileged group that rarely has to pay full price for anything! The student Oyster card will enable you to get a third off your travel on the tube (the Underground) and buses, which helps to soothe the burn of rising transport prices. Want to venture out of London? The 16–25 Railcard will give you the same saving on your train fares to any destination in the UK. Your student card itself – issued by your school, college or university – can save you money at a variety of retail outlets across the country, and get you cheaper cinema tickets. If you want even more power, getting an NUS Extra card for £12 will go a long way – check out the website to see where you’d get discounts, and make paying full-price a thing of the past. When walking down the streets of London, your eyes are likely to be drawn to iconic fast food brands, your nostrils teased by the gorgeous scents wafting out of boutique restaurants and your ears bombarded by the voices of salesmen on Brick Lane (the most popular place in London for Indian food) promising that their curry house is the best in the land! However, while it is nice to eat out once in a while, learning to cook will save you a lot of money. With a bit of practice, you could recreate some of your favourite dishes for a fraction of the price. But if you’ve given cooking a go and decide you’d still rather eat out, London does have many affordable places! Giuseppe’s Place on Borough High Street, a short walk from Kaplan Holborn College in south London, is a popular place for local workers and students – you can get a toasted sandwich, a snack and a drink from £3.50. ICCo on Goodge Street is a buzzing Italian pizzeria with delicious pizza for less than half the price you'd pay at a chain restaurant. You can also get some amazing street food at London’s many markets – Time Out has some suggestions, but there are many more. If you’re studying at university, it’s likely you will need access to at least four textbooks per term, which could set you back hundreds of pounds if you bought them all brand-new! Fortunately, there was a technological invention 20 years ago that forever changed the lives of students. Along with being the first port of call for your course research, the internet can also be your friend when it comes to buying your textbooks. Use websites such as Amazon and Fatbrain – and start thinking about what to do with all the money you've saved! There is no denying London can be expensive, and if you’re not living in accommodation provided by your university (or in a homestay), the cost of renting privately can be high. Sharing accommodation is one of the best ways to cut down on what is likely to be your biggest monthly expense. There are dedicated websites such as SpareRoom, RoomBuddies and EasyRoommate where you can search for people with similar preferences to share a house or flat with.